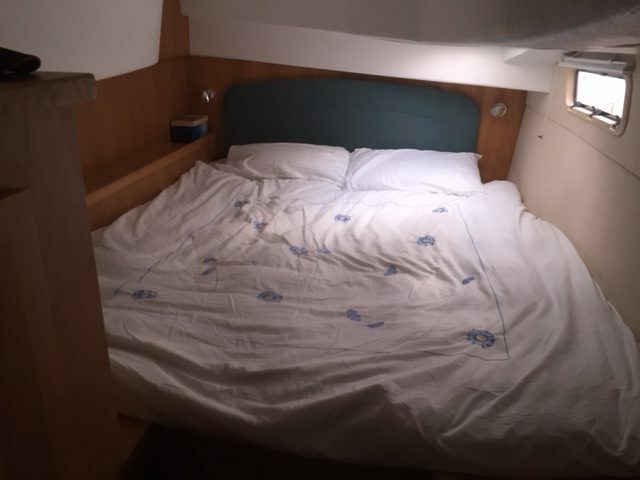 Owner’s layout including 3 large cabins, owner’s hull to include large head with separate shower and desk with amidships storage. Guest heads with separate shower. Teak and holly laminate flooring. Toughened glass frameless windows with 2 front opening. 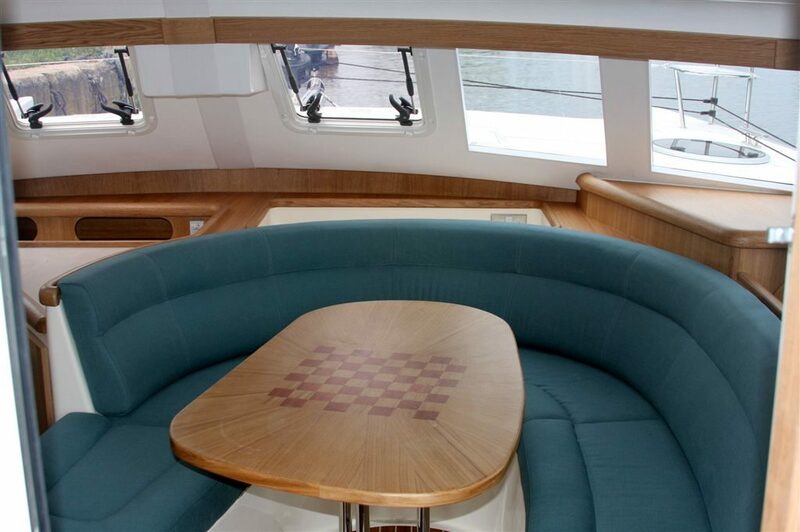 Raised seating for 6 people around table in comfort, stowage underneath. Double door bottle storage cabinet. Sliding companionway door to cockpit. Oak faced chart table and drawer with chart light and swing out seat. DC and AC panels with trip switches and gauges. 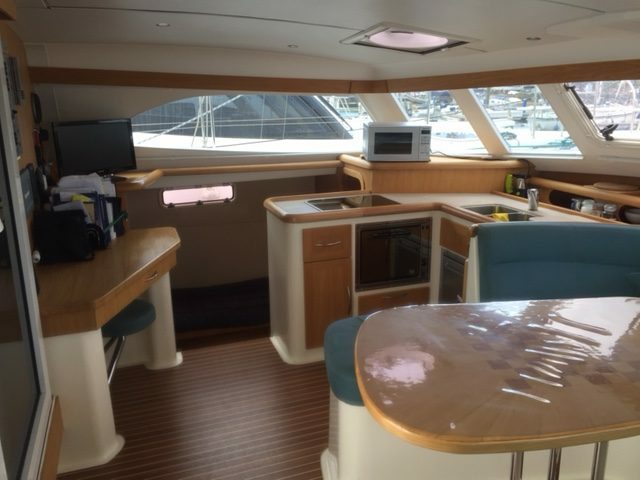 Open plan galley and saloon. 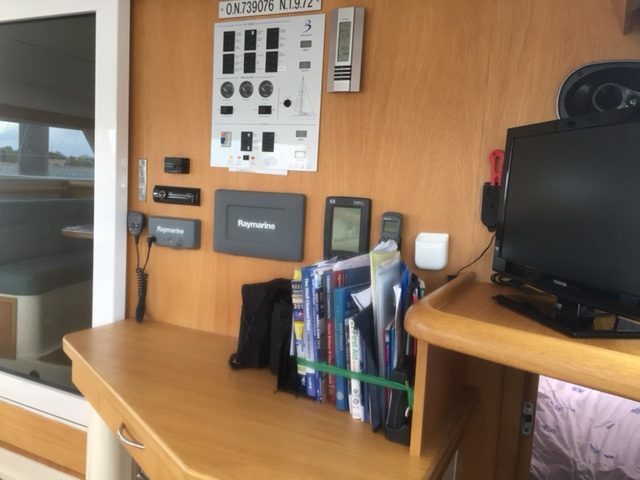 Area for navigation instruments including plotter. 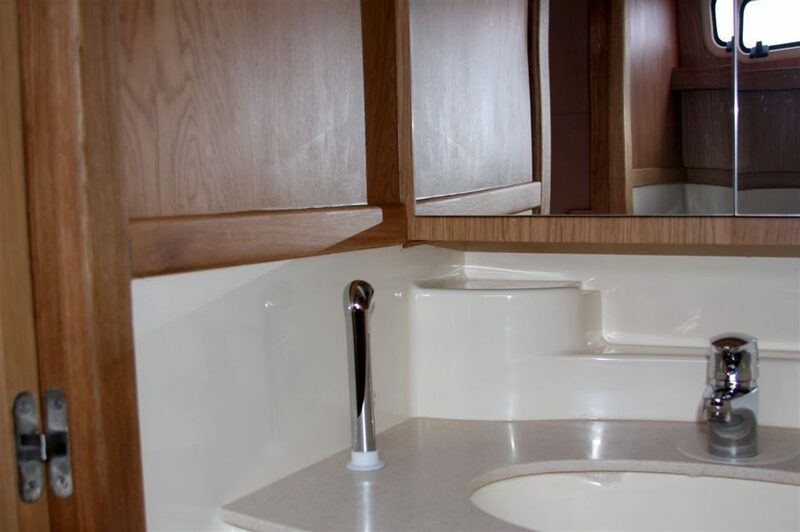 Large area of solid surface work tops to galley. Stainless steel fridge with 12v compressor. Ventilation deck hatch above galley. Multiple storage cupboards with shelves and drawers. King-size double berth 2m by 1.5m with 10cm high quality mattress. Double door storage cabinet with work surface. AC and DC power points. 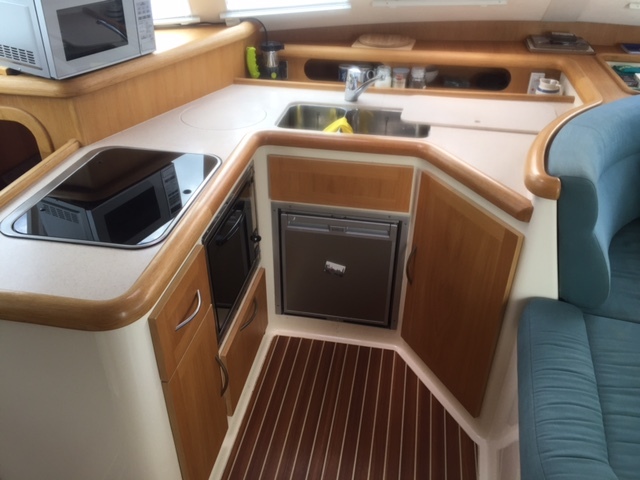 Single berth with pull-out deck. Chrome spot/reading light. This area can be bespoke tailored to suit the needs of an individual owner, details on request. Large basin area complete with hot and cold mixer tap. 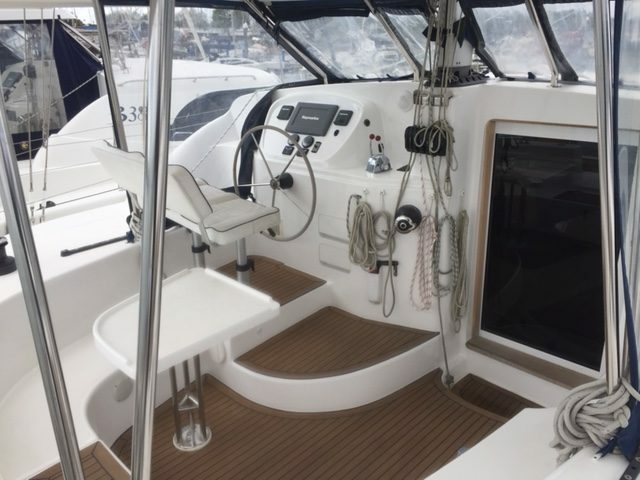 Electric marine W.C. with holding tank c/w electric pump out to sea (50ltrs) and monitoring gauge. 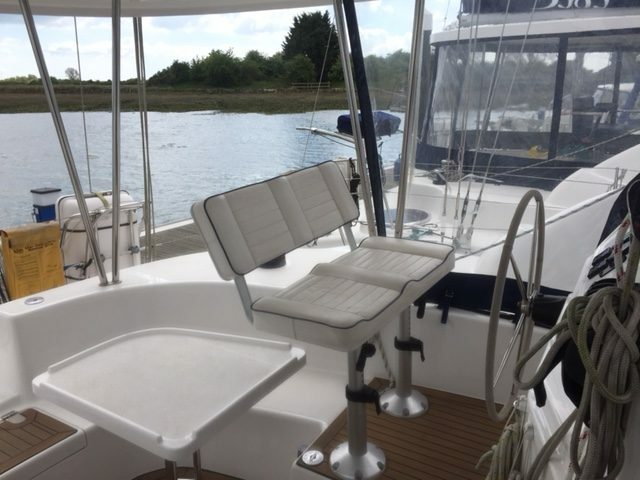 Portlight to outboard hull side. Chrome towel rail and wet room accessories. Large shower compartment with seat. Mixer tap with shower head and electric sump pump. Moulded basin area complete with hot and cold mixer tap with pull-out faucet. Oak shelving unit with shelves and mirror door. 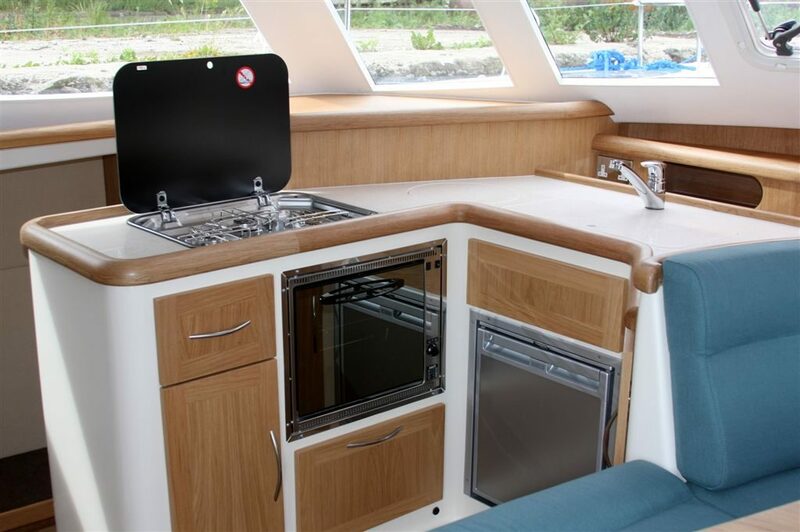 Manual marine W.C. with holding tank including electric pump out to sea (50ltrs) and monitoring gauge. Shower drain complete with electric sump pump. Chrome berth spot/reading lights. This area can be bespoke tailored to suit the needs of an individual owner, details on request.